Is there a better alternative to Mah Jong Quest? Is Mah Jong Quest really the best app in Card and Board category? Will Mah Jong Quest work good on macOS 10.13.4? 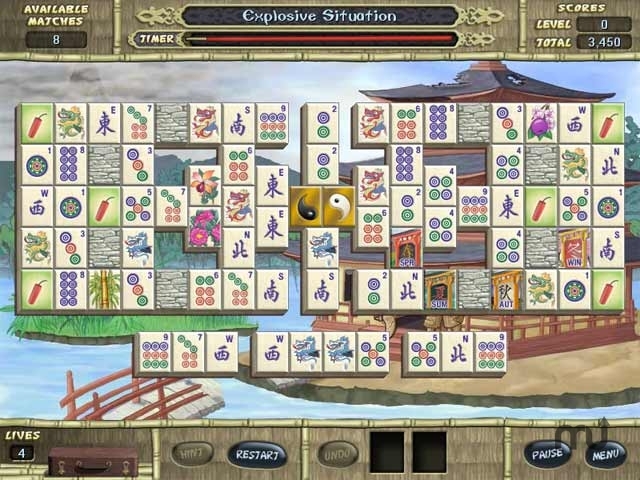 Mah Jong Quest is a tile game where you can choose from over 150 additional Classic and Puzzle layouts to improve your skills or just to have fun. These layouts provide endless hours of entertainment with the ability to shuffle the boards or play in one of many different challenging modes. Kwazi's Quest: Help Kwazi on a puzzle-solving journey to vanquish dragons and restore the land. Classic Play: Over 80 classic layouts, endlessly replayable with unlimited shuffles. Puzzle Play: More incredible power tiles and 80 more brain-teasing layouts. Mah Jong Quest needs a rating. Be the first to rate this app and get the discussion started!